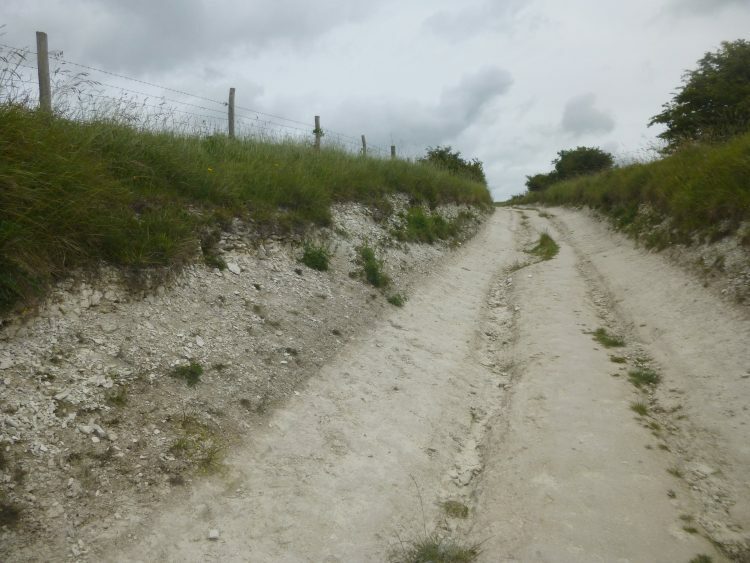 If you’ve been following along with my art story for long, you may remember that I walked some sections of The Ridgeway in Wiltshire back in 2016. This year I got to go again! 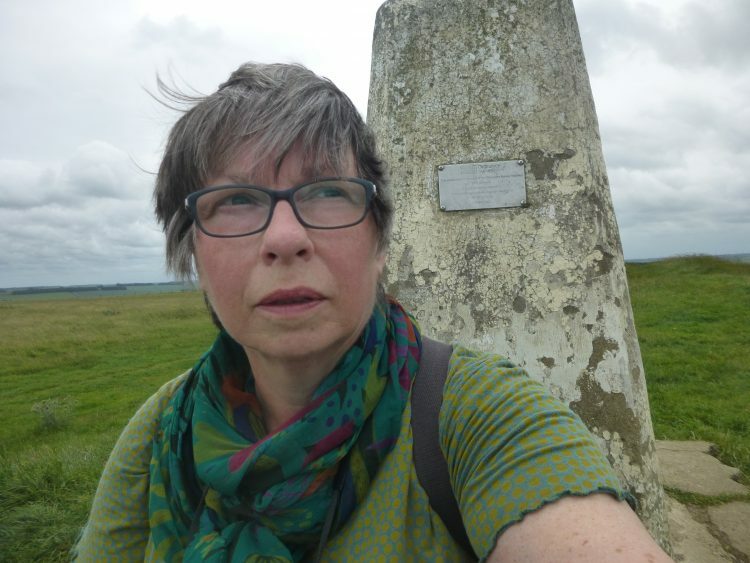 Back on The Ridgeway again! 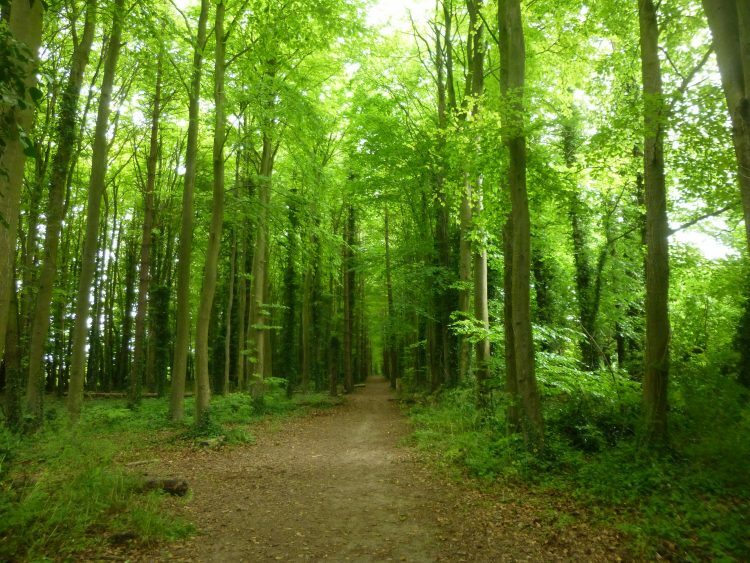 I stayed in Ashampstead, which is on the West Berkshire/Oxfordshire border. It was a good base for the four walks I had planned. 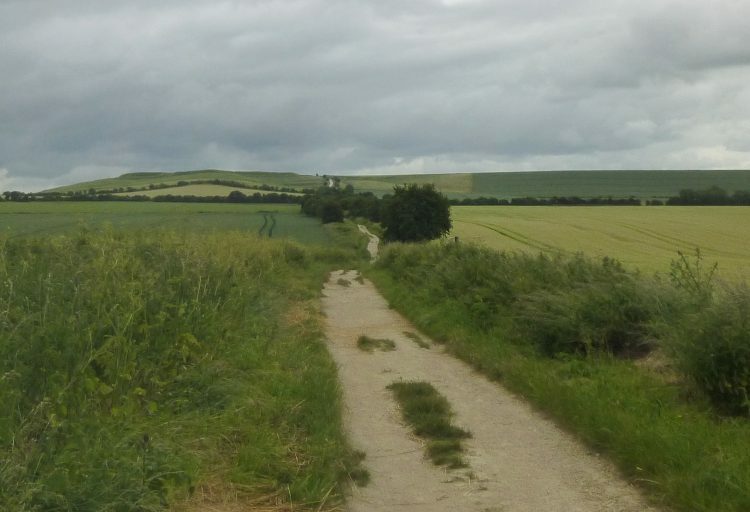 This post is about my first walk, which was to Wayland’s Smithy and White Horse Hill. 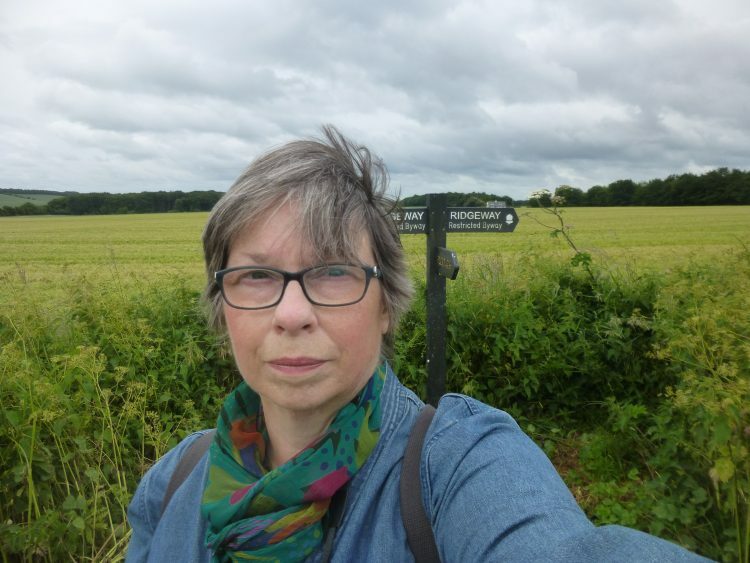 It was a rather overcast day, as I drove up to the National Trust car-park and set off, going westwards back down The Ridgeway, towards Wayland’s Smithy. 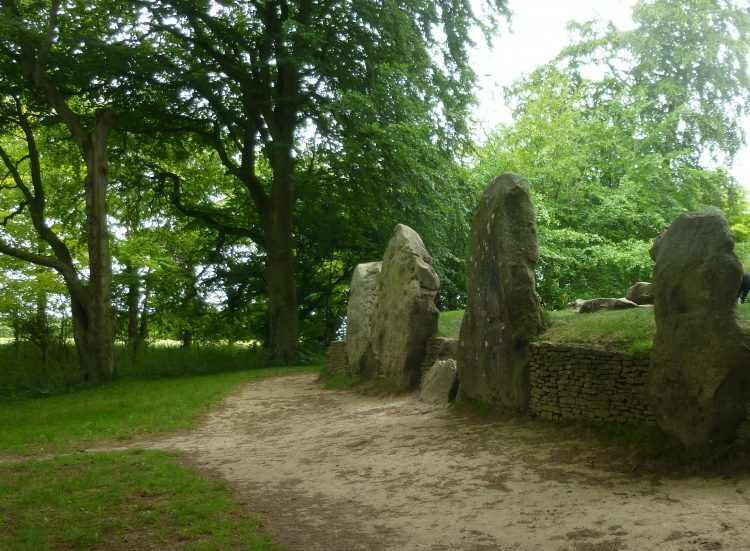 This is actually a huge Neolithic chambered long barrow, created nearly 5000 years ago. The name is a corruption of the name of the god Volund. 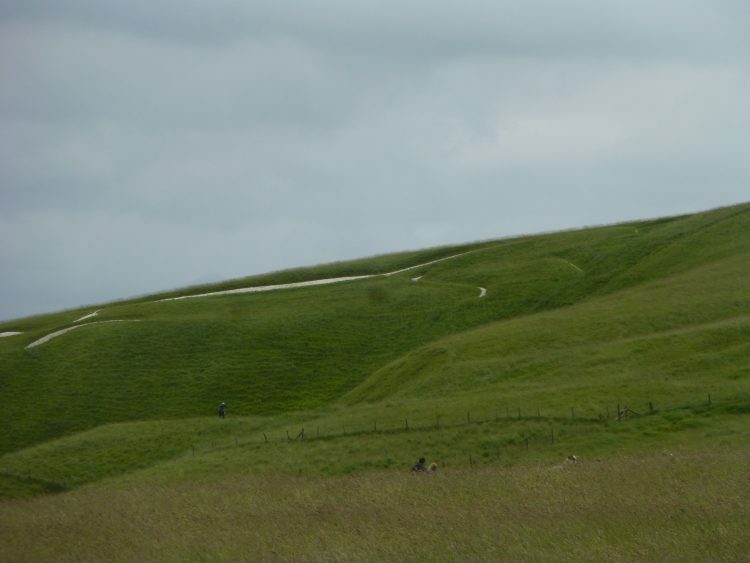 Legend has it that he made the shoes for the Uffington White Horse . . . .
Next it was a walk back the way I’d come, towards White Horse Hill, and Uffington Castle. On the way I stepped inside one of the beech hangers beside the track. The light and atmosphere inside were extraordinary. Approaching White Horse Hill the track was bitten down deep into the chalk. But luckily it was only a brief shower. 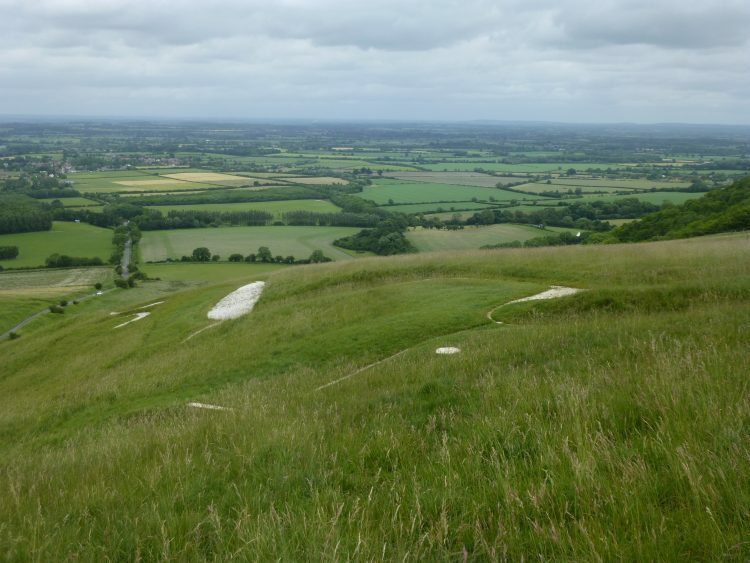 For whom was the Uffington White Horse made? There is nowhere on the ground where it is possible to really see it all. From the top of the hill bits are visible . . .
And from the single track road below the hill, which leads to Dragon Hill, a bit more is visible. But it’s hard to make out the whole form. Viewers in the sky . . . .? It is thought to have been created in the Bronze Age and is 330 feet long! 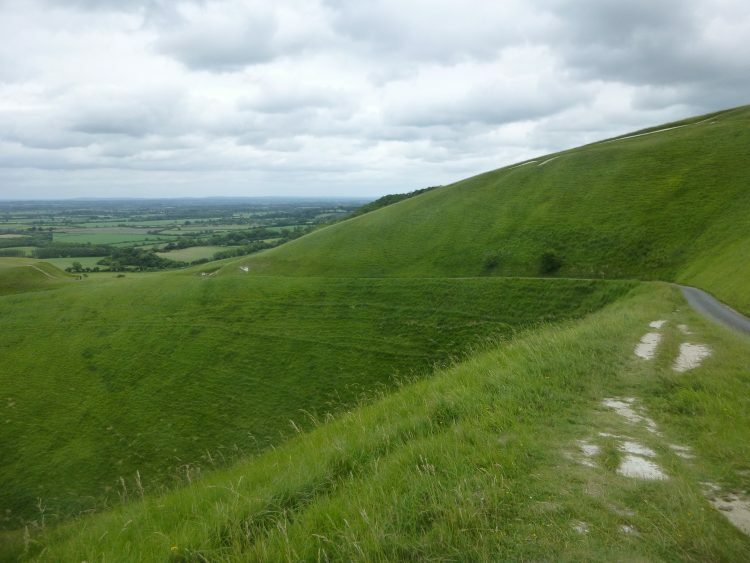 The side of White Horse Hill, and the top slopes of the manger. The manger is a very impressive rounded valley in the side of the hill. 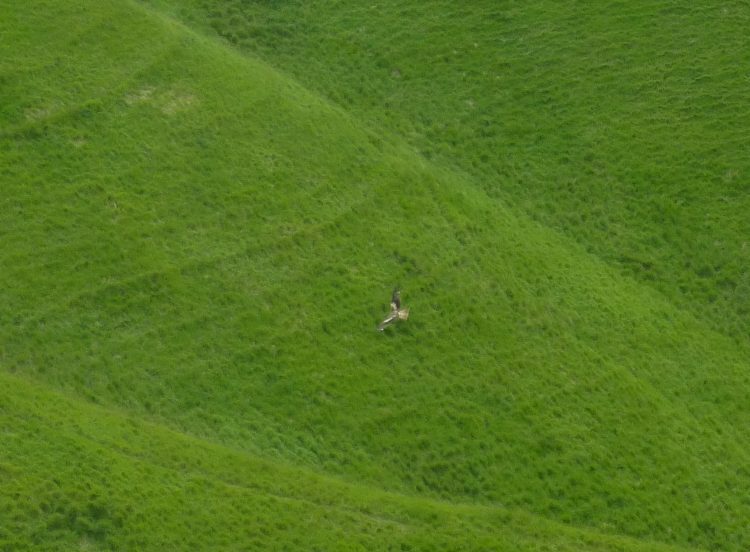 The grass was incredibly green, and Red Kites could be seen flying below the road level. Having walked to Dragon hill, I retraced my steps back down the slopes, amongst the sheep, and the people flying kites, to the car park.